While vintage tea sets may not be everyone’s cup of tea, they are undeniably charming. 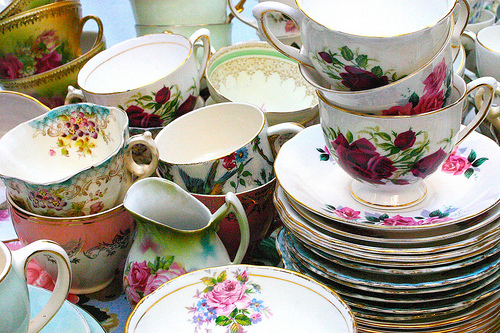 Thrift shops and second hand stores are filled with intricately painted, antique teacups begging to be purchased. Despite how popular these little porcelain beauties are, they have a tendency to sit unused and unappreciated in a closed cabinet. 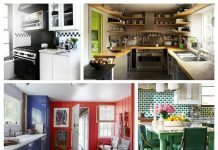 In an effort to rectify this situation, we decided to inspire teacup owners with clever ways to repurpose their tea sets into either useful or decorative items to display them in all of their glory. 1. 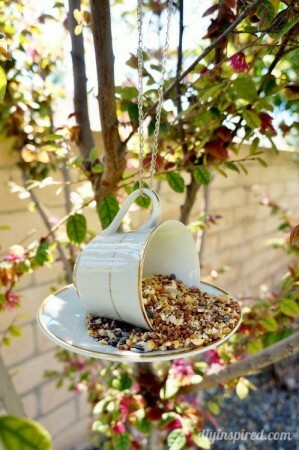 Dina Wulf of diyinspired.com cleverly fashioned her teacups into stylish birdfeeders using only a teacup and saucer, twine, a chain, and some glue. 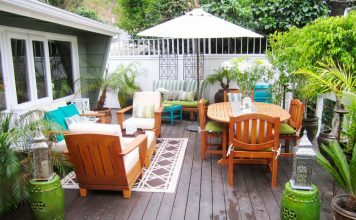 This is an eco-friendly way to show off your delicate tea set out-of-doors. 2. 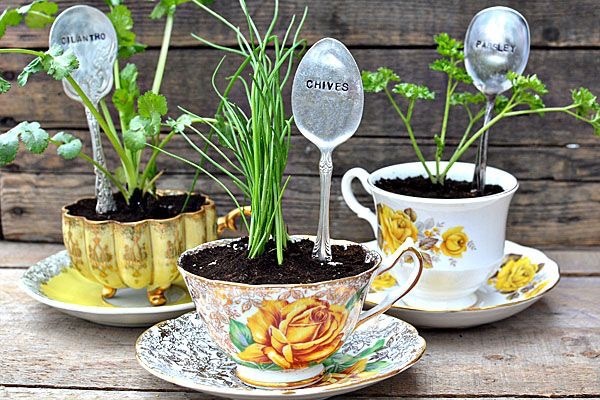 The Everyday Home writer Barb Garrett turned a few vintage teacups into adorable herb gardens. While she chose herbs you could plant succulents, flowers, cacti, fruits, or veggies in your re-imagined china. 3. These precious homemade candles made by Christopher Baker would be a wonderful centerpiece or display. If you have an entire set this would be an excellent way to display your entire set. Mosaic of smashed tea saucers. 4. 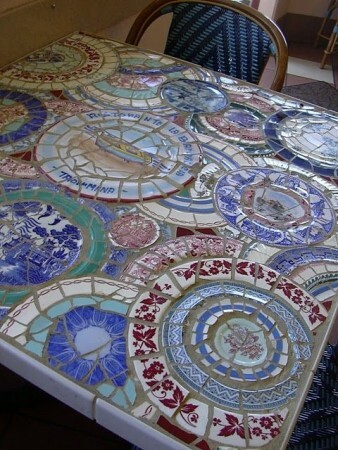 If you’re not afraid of destroying your saucers to create art, you should take after Inspiration Sandwich and create this mosaic table. 5. 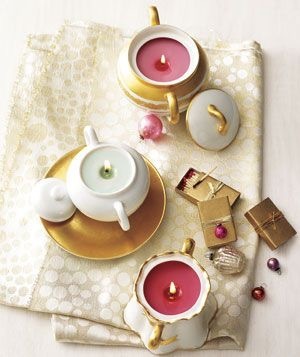 These five teacups come together, with the help of Without a Hitch, to make a gorgeous candelabra. 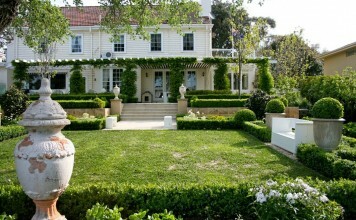 In a shabby-chic home, this would be the absolutely perfect centerpiece. 6. 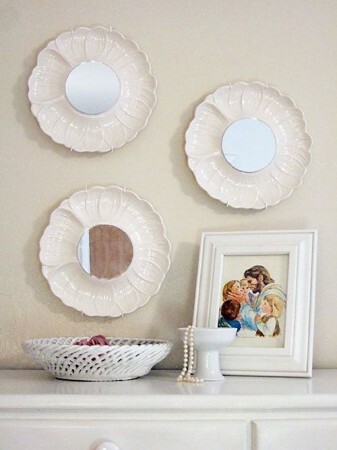 While mirrors are in no short supply, mirrors with such uniquely charming qualities are hard to come by. Frugal with a Flourish’s ingenious little art pieces were cheap and stylish. Tea set fashioned into a lamp. 7. 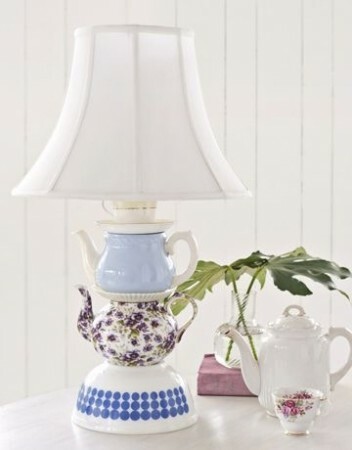 Wayfair’s nifty teapot lamp would be excellent in a cozy reading nook or study. If you read in bed like us, this would be a fantastic bedside lamp. 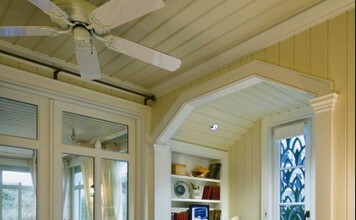 All that’s left is a good book, a blanket, and a cup of tea. 8. 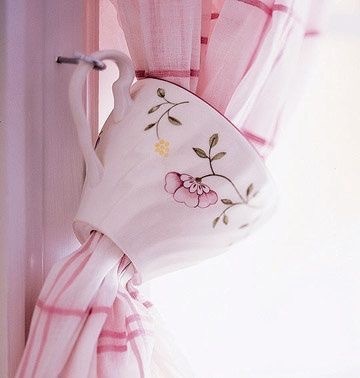 Curtain tiebacks are typically overlooked, however with these darling teacups they just may be the highlight of the room! 9. 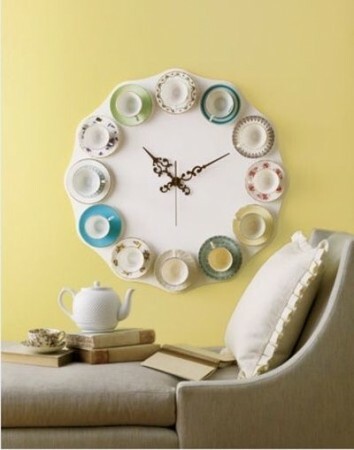 The Cottage Market did a splendid job of creating a clock from twelve vintage teacups. 3 tiered afternoon tea stands made from teacups, saucers, and plates. 10. 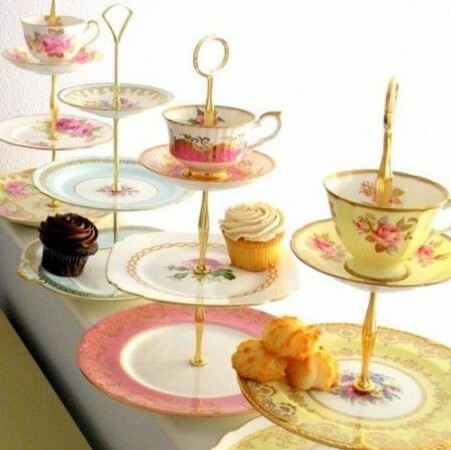 Three tiered stands are essential for afternoon teas, making this display made of old teacups saucers, and plates endlessly useful and creative. 11. 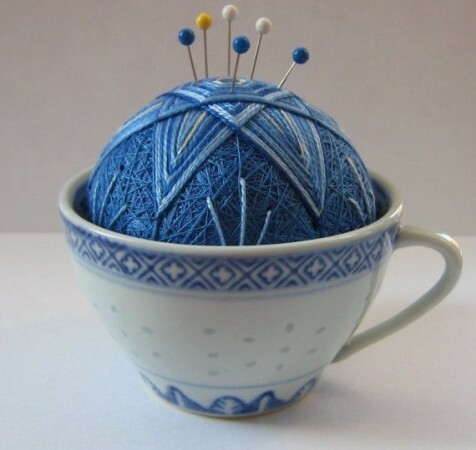 For the tea-drinking seamstress, there could be no better pincushion than the one made by MawMaw’s Place. 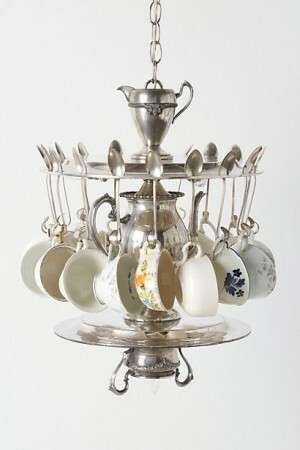 Teacups and teaspoons come together to make an interesting chandelier. 12. 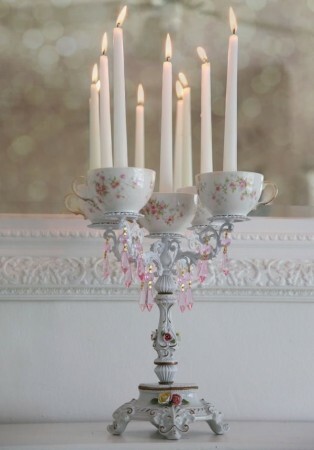 This gorgeous and unique chandelier of teacups by Everyday Home is a spectacular statement piece for a breakfast room or dining room.